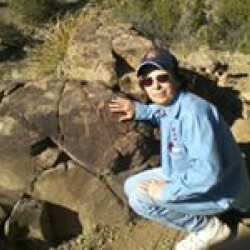 I blog on katerauner.wordpress.com/ about the science that inspires my novels and poems. I read a lot of non-fiction, too. A Great Depression era broadcast has become an annual Halloween staple in America. This year marks the 75th anniversary of the radio broadcast of a version of "War of the Worlds" that, according to urban legend, sent America into a brief panic over invading Martians. 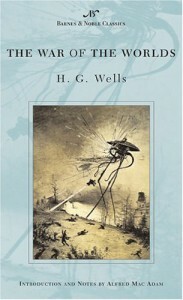 I bet you know the story of the H. G. Wells classic, first published in 1898. A few immortal elements have survived from the book to the movies: Giant three-legged Martian machines that wreak death and destruction on humanity, death rays, terrified survivors hiding in a ruin as a Martian mechanical "eye" sweeps through, and the iconic ending (spoiler alert - if anyone out there doesn't already know) where the Martians are killed and the Earth saved when the invaders are killed by the humble common cold. Have you ever read the book? I find Wells' actual theme fascinating and very English: that complacency is foolish and trusting the government to save you will be fatal. Read the book. It's not that long (207 pages in my Readers' Digest version) and well worth your time. Not only is it immortal science fiction from the end of the Victorian era, which inspires endless nostalgia in America. It seems socially modern and relevant. The endless explosions of modern special effects, while technically amazing, can't really compete. The explosions can't compete with the real-life story of newspapers trying to fight off radio, either.